Sunscreen: Are the Ingredients Dangerous for Your Baby? When we think of “sunscreen,” we literally think of protection. A shield. A screen between the sun and your baby that will prevent burning and nourish their tender little skin all at the same time. However, what most moms don’t know, is that the ingredients in many store bought sunscreens are horribly dangerous. In fact, after understanding how toxic the ingredients actually are in most sunscreen brands, it might make you think twice before you apply on your child or go outside all together. The most popular chemical, oxybenzone, is found in 96% of sunscreens. And a recent study by the Center for Disease Control and Prevention showed that this chemical can reduce sperm count in men and may contribute to endometriosis in women. Not to mention, the other chemicals listed have been known to be contributors to horrible diseases and health issues, including cancer. Now that you’ve had a chance to see the risks involving many sunscreens, let’s talk a safer option here – MINERAL SUNSCREENS. 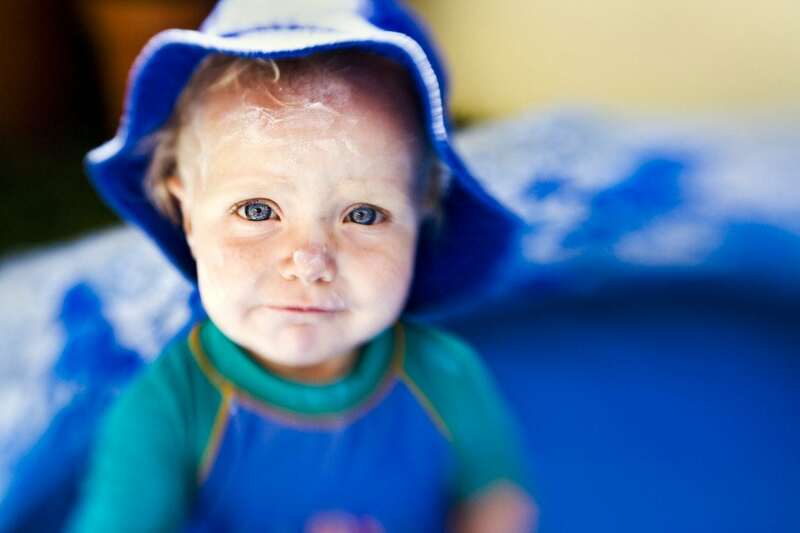 There’s two types of sunscreen you could use on your baby – a chemical one, or a mineral one. We obviously know now that a chemical one is risky (and, for me personally, not an option). There are some mineral sunscreens, too, that consist of non-nanoparticles, which basically means that the particles are too “big” to seep into your baby’s pores, therefore giving a better barrier against the sun’s harmful UV rays. This is the one I choose, personally, for my children because it blocks both UVA and UVB rays, and SPF is only measured by its protection from UVB rays. You can order it online by creating a Young Living account. This sunscreen is readily available at many department stores, including Walmart and Target. On top of all the Honest products, it contains ingredients and a quality that you can trust for your baby. I found this at my local Central Market, but you can also order it on Amazon. This is also something I’ve bought before at my local department store or Target. Of course, it is extremely important to use sunscreen to protect your skin from the sun. But it is important for us, as moms, to choose a sunscreen with ingredients that are organic, non-toxic, highly safe, and super effective in protection from the sun’s rays. See more tips to protect your kids’ skin HERE.